SEO Audit Tools – What you need to look for? It can be quite overwhelming to implement the data we get from SEO audit tools. The key is to stay focused to ensure you are utilizing the information to develop your SEO strategy and improve reputation management service. The whole effort is put to improve your organic search results. Indexability: How accessible are your web pages? Are they being indexed? Off-Page Factors: External sources that could affect the website’s ranking authority, popularity, reviews, backlinks, citations and business listings. On-Page Factors: Internal sources that improve search engine ranking such as tags, titles, content, URLs, links, and images. Competitive analysis: after completing your audit, it’s essential to compare the results with your competitors to figure out the adjustments that can be made. To ensure you have the best tools working for your SEO, it is essential to find and implement new opportunities. A useful tool will not only audit your SEO but will also boost the campaign from head to toe. Here are six top tools that will help you audit your SEO campaigns right away! 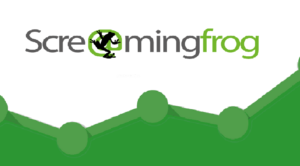 There are two separate versions of Screaming Frog – free and paid. All of the services mentioned above can be utilized with the free version. However, there is much more to the Screaming Frog tool if you purchase the entire tool. The SEO audit software is great and used by major brands such as Amazon, Apple, Disney, and even Google. Summary of page speed, broken links, HTML correctness, indexed pages, etc. The audit tool doesn’t only help you get a clear picture of your website, it also helps resolve spam issues. You can check the performance of your website directly on bigger search engine platforms. This tool is particularly beneficial if Google is your main concern. It may not provide you enough information for other search engines as it strictly caters to Google. In such a case, it may be important for you to use other auditing tools along with Google Search Console. BROWSEO is a web-based tool where you can get information for any website. You can enter your website’s URL into their website to get the details. The easy-to-use, hassle-free audit tool is acclaimed by significant names such as Search Engine Watch, Search Engine Land, and even Rand Fishkin of Moz. Ahrefs is a paid tool. However, if you really want to know what ahrefs can offer you, it’s important that you use their 14-day free trial. Ahrefs is loaded with various tools that help the user collect and analyze data. To make it more relevant, this data is mainly related to search engine rankings, positioning, and performance. Ahrefs have secured a position as the most accurate and largest database filled with live backlinks. If you are in need of a backlink profile, a detailed report, and any other resource to strengthen your link profile, ahrefs is undoubtedly the best option you can opt for. Check out their detailed price plans to opt for the most suitable one. There are five different tools at OnPage for SEO optimization and auditing. While most people consider OnPage as a pricey option, the quality of auditing services it offers to your SEO is incredible. It offers you exactly what you are looking for. Zoom: offers a detailed report on assets, content, URL structure, indexability, and other SEO factors. Focus: this focuses on gather error sources by the urgency to bring them to your attention. Monitoring: as the name suggests, it helps with monitoring the performance of your website around the clock. There are five pricing options for OnPage that you can choose from. Check out their demos on the website to make an easy choice. If you are a beginner in this field, Siteliner is a great way to start. This free tool allows you to analyze more than 200 pages per month. However, if you opt for the paid premium service, you can gain more benefits. So how do you find out if you are working with the right SEO audit tools? Do you know how to analyze the success or failure of your SEO campaign? How do you figure out if certain strategies are working or not? Most importantly, how do you even decide where to begin with a new SEO campaign? An SEO audit is an answer to all the questions above. It gives you exact details on the current standing of your website. It tells if your website is optimized effectively to improve its search ranking. Auditing your website shows you all the loopholes so you can effectively work on the areas that require immediate attention.